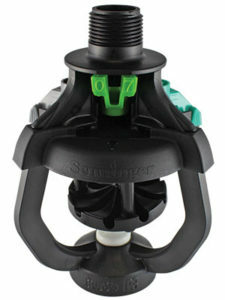 Senninger Irrigation has expanded their line of agricultural products with the introduction of the i-Wob2, which aims to reduce the number of times a sprinkler package needs to be replaced. The i-Wob2 features enhanced materials and shroud guards to protect the system from damage and double as a nozzle carrier. The equipment is backed with an unprecedented three-year warranty on materials and comes in four different models.